In this 2017 file photo, Michelle Carter sits in a district court in Taunton, Mass. Carter was convicted of involuntary manslaughter and sentenced to prison for encouraging 18-year-old Conrad Roy III to kill himself. The state's highest court upheld the ruling last week, and Carter began serving her prison sentence on Monday. "You can't think about it. 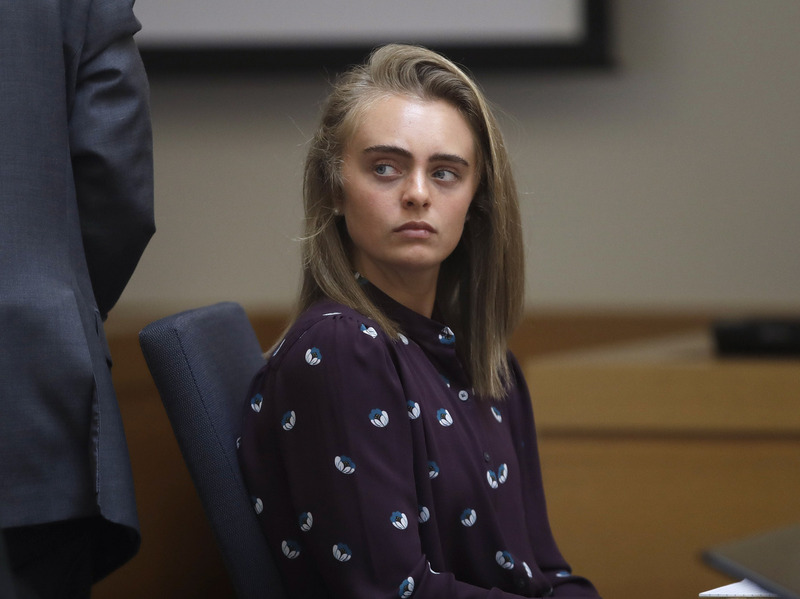 You just have to do it," Michelle Carter wrote." And, after he got out of his truck, she texted him to "get back in." Roy got back in, and was later found dead. Carter was sentenced to serve 15 months in prison for involuntary manslaughter for causing Roy's death. Carter has remained free while appealing the ruling, but the highest court in Massachusetts upheld her conviction last week. Carter, now 22, reported to prison on Monday. It's very hard to determine legal causation in the context of suicide, but there was enough evidence here to show proof beyond a reasonable doubt, the Supreme Judicial Court wrote. Even as the "confused" and "vulnerable" victim had managed to exit the deadly vehicle, "he was badgered back into the gas-infused truck by the defendant, his girlfriend and closest, if not only, confidant in this suicidal planning," the unanimous court wrote. "And then after she convinced him to get back into the carbon monoxide filled truck, she did absolutely nothing to help him: she did not call for help or tell him to get out of the truck as she listened to him choke and die." An attorney for Carter told the Washington Post they would consider appealing the case to the U.S. Supreme Court. "We are disappointed in the Court's decision, which adopts a narrative that we do not believe the evidence supports," Daniel Marx said in a statement, adding that the decision has "troubling implications, for free speech, due process, and the exercise of prosecutorial discretion."